A few years ago, Forbes contributor Ken Krogue noticed a lady returning rotten, moldy fruit at a Costco store. The clerk attending to the woman kindly offered her money back, even though she bought the fruit days ago, when they were still fresh. Costco is willing to go to great lengths to keep their customers satisfied. After a year hiatus from having the top Net Promoter Score (NPS), Costco is back in the top spot. The Net Promoter Score is a tool that can be used to gauge the loyalty of a firm’s customer relationships and can be related to a firm’s revenue growth. Loyal customers who buy repeatedly are more profitable than ones that buy once. Because repeat customers have a higher lifetime value, meaning that over the course of a customer’s projected buying time with your brand, you can predict a high return on investment. For instance, if you spent $5 to earn a customer and you know that over the course of that customer’s lifetime with your brand, they will likely spend about $100, that’s a great lifetime value to churn (or cost to acquire a customer) ratio (LTV to CAC). Costco works hard to keep their customers because it costs 5x less to retain customers than acquire new ones and loyal customers spend up to 67% more than new customers. Customers become loyal to a brand when the products are high quality and are delivered as promised, or when the brand can offer them amazing customer service. Yet, due to intense competition, great customer service, like that at Costco’s brick-and-mortar stores, isn’t always enough to keep customers coming back. So, how can you increase retention and customer lifetime loyalty? That’s what we’ll cover today, teaching you how to Implement a customer loyalty program that works for your brand. What an ecommerce customer loyalty program is. The various components involved in building out a customer loyalty program. The types of customer loyalty programs available (and their hybrids). Examples of ecommerce customer loyalty programs (with case studies). If you want lifetime customers, you not only have to continuously prove that your product is worth what they’re paying for it, you also have to give them that something extra. Show them that you’re the expert in your field and reward them for their loyalty. Many businesses use loyalty programs to reward repeat purchases which has shown to be very effective, especially for ecommerce. – Emil Kristensen, CMO and co-founder, Sleeknote. Customer loyalty refers to a customer’s willingness to work with or buy from a brand repeatedly as a result of positive customer experience, satisfaction, and the value the customer gets from the transaction. A customer loyalty program helps push customer loyalty by providing rewards to customers that frequently patronize the business’ products and services. Loyalty programs first originated in the 1950s, when grocers gave customers stamps for making purchases, eventually spawning airline miles rewards in the 1980s. Who Needs a Customer Loyalty Program? Anyone who has customers can benefit from a loyalty program. However, certain types of internet retailers will see greater value from a loyalty program. 1. Online retailers who receive a steady stream of at least ten or more orders a month will see greater benefit from a reward program. Repeat orders are more likely when online retailers are generating a steady stream of new customers. If you are not generating a steady stream of customers or orders already, launch an ad program to raise brand awareness and drive traffic to your site. Google Shopping is a tried and true favorite for most mid-market brands, but Facebook and Instagram are equally attractive and allow you to narrow down your audiences with Power Editor. 2. Online retailers operating in a niche where customers are price sensitive are ideal candidates for a loyalty program. Price sensitive customers respond better to rewards than customers in big ticket or luxury markets where price is not an important factor. A loyalty program in a fashion or beauty niche can also be successful. Sephora, for instance, has a hugely successful loyalty program. 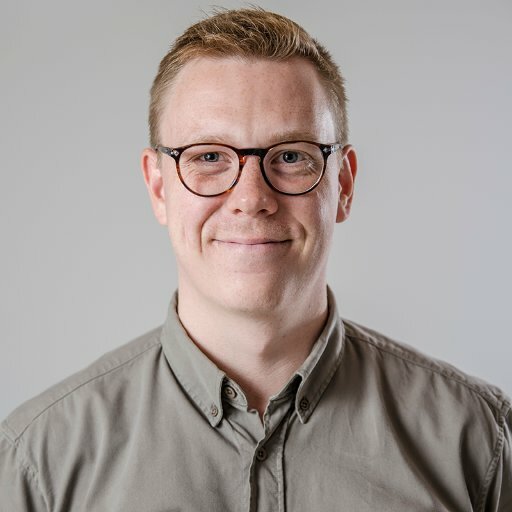 If your various selling channels have different selling propositions – for instance, on your independent website your unique products are more of a draw than your prices, but on your Amazon channel, your price competitiveness wins out – then consider running different loyalty programs for those two audiences. Or, test out a loyalty program to help grow a specific channel. 3. Online retailers operating in markets with several competitors are also ideal candidates for a loyalty program. These retailers see the greatest benefit from loyalty programs since they are at the greatest risk of losing customers to competitors. A loyalty program may also help you to stand out amongst your competition, giving you the upper hand and making you appear more customer-centric than other brands. The biggest advantage of a loyalty program is that it has the potential to align your entire business toward the most profitable segment of your customer base. This means that your business will begin catering more to customers who have high repeat purchases or average order value – depending on what type of loyalty program you implement. Over time, you’ll also be able to use the data collected from a loyalty program to figure out ways to make the least profitable customers more profitable, increasing your customer lifetime value, and thus company revenue and projected profitability overall. Loyal customers often convert and spend more money with brands they like, with 78% of loyal customers willing to spread the word to their friends and family. Word-of-mouth marketing is one of the best and most powerful kinds of marketing, with 92% of people preferring suggestions from their friends and family over traditional advertisements. Acquire new customers. Although the main purpose of a loyalty program is to retain existing customers and increase repeat orders, it can also be used as a benefit to attract new customers. Move customers up the buying ladder. A loyalty program will systematically move your customers up the buying ladder – converting first time buyers into repeat buyers and keeping your repeat buyers spending more often with you. Win back lost customers. While it may seem inevitable that a certain percentage of customers will be lost over time, a loyalty program will allow you to identify, target and bring back these lost customers. Increase the lifetime value. When you increase the frequency of customers shopping with you, you will automatically increase the lifetime value of your customer. Identify your best customers. A loyalty program identifies your best customers. Once identified, you can then start observing patterns in their behavior. These patterns can be used for better merchandising, advertising and customer service. Create your best brand influencers. Your best customers are buying repeatedly from you because they love what you are doing. These customers are prime candidates to be your brand influencers. A loyalty program helps you to take the first step, which is to identify your potential brand influencers. Set you apart from the competition. The best part of a loyalty program is that it can inoculate you from the competition. With a loyalty program in place, your competitors will have a harder time peeling away your customers. Reduce advertising costs. When you learn who your best customers are, you can target your advertising to bring in more new customers who fit the profile of a best customer. These new customers are more likely to convert into repeat customers. This data can help you to cut down advertising costs by eliminating advertising in mediums that attract one-time buyers or deal-seekers. All loyalty programs boil down to a simple concept – customers are rewarded for taking certain actions. Businesses customize on the above principle to create their individual loyalty programs. Successful loyalty programs focus on a single customer action: getting customers to buy again. However, you can also reward your customer for other types of actions such as store registrations, referrals, social shares, etc. The most successful loyalty programs focus on repeat orders and ignore ancillary actions such as social sharing, reviews, etc. Once your customer has earned a reward, you will need to decide how the customer will access and use their rewards. You can offer your customers several kinds of rewards from free shipping to percentage off to store credit. It is tempting to assume that strong rewards will lead to a successful loyalty program. On the contrary, an easy to use loyalty program will always outperform ones that offer greater rewards. It is best to start a loyalty program with one reward. The rules of your loyalty program allow you to protect yourself from abuse. However, it’s best to have a few, sensible rules and not make it overly complicated. According to The Loyalty Report 2017, the average customer is involved in 14 loyalty programs but can only effectively engage in 7. When customers cannot engage in a loyalty program effectively, both the business and customer lose money on time and effort. Similarly, research finds that 54% of loyalty memberships are inactive with 28% of customers abandoning the loyalty programs without redeeming points. It is imperative to design a great loyalty program that customers actually make use of. The best tip to designing a great loyalty program is to keep it simple. The most common loyalty programs involve a process where the customer earns points for every purchase. These points can be translated to freebies, discounts or special perks—each depending on the number of points accumulated. However, some loyalty programs make earning and redeeming points more complicated than it needs to be. Case in point: Sephora’s Beauty Insider Program. For every purchase, customers swipe their Beauty Insider card. The card tracks the amount of money customers have spent at Sephora, with each dollar purchase earning a point. These points can be redeemed for new beauty supply items. 1. Give it a Personal Touch. Customers want to feel like they are valued. Train your employees to treat customers well. Give a personal touch so that when you ask of something from your customers (say, a survey or poll), they will willingly oblige. It’s important to be available to customers via different channels: chat, social networking sites, and email. A personal touch could also mean implementing personalized recommendations based on recent product views or purchases. 86% of consumers say personalization plays an important role in their buying decisions, and 87% of shoppers said that when online stores personalize, they are driven to buy more. Remember, too, that the most common loyalty program features often aren’t the most successful. The more unique a loyalty experience and offering you can provide, the more successful it will be. Tailor it to your community and audience. My biggest piece of advice to build customer loyalty is to focus on building authentic relationships. Being true to your brand—and not being afraid to be playful, fun, or quirky if that’s what your brand is — is more likely to get your customers to come back again and again. – Kayla Lewkowicz, Marketing Manager, Privy. 2. Build a Sense of Community. “Build a community for your brand,” says Alex Birkett, Growth Marketing Manager at Hubspot. “Community building is a long term play and an underrated asset. But for good reason – it’s hard to build an authentic community”. As far as how to execute this well? “Building a robust and lively Facebook community at ConversionXL helped us tap into customer insights and get natural customer feedback, but it also opened a direct line of communication with customers and fans of the brand in general. The discussions that happen there now, organically, are amazing and the community is a valuable thing on its own, outside of any branding/acquisition concerns”. This is even more important in 2018, as Facebook algorithms change to surface more community content than brand or advertising content. Stop any engagement baiting in your posts now — the kind of posts that say, ‘Like this for yes, angry for no,’ and so on. They won’t work. Look at the areas that are growing. Chatbots and messaging should now be a definite focus, alongside your Facebook brand page. All of those recommendations are a call to community-building. It is more crucial than ever for businesses to integrate Messenger and initiate one-on-one conversations. Begin building your community now. The best way to do that is by offering add-on services and forums to your existing product offerings. Below, you’ll see that BombTech Golf (a brand that has grown to $12M in revenue in 3 years) offers a Facebook Community Group, SnapChat engagement, a professionals group, a fittings service and more. Your brand doesn’t have to offer all of these, but it is smart to begin figuring out how to incorporate at least one of them as soon as possible. WGSN calls this the upcoming generation the “crowdsourced capitalism” one. Let’s face the facts – the sharing economy is here to stay and continues to disrupt. Estimated to grow to $335bn globally by 2025, this peer-to-peer marketplace is set to further impact the traditional corporate-centred economic model. Community now – or fail later. Those are your current options. You could have the best customer loyalty program in the world but if no one is joining, then it’s not really doing anything for your ecommerce business. Advertise and spread the word about your program. Invite people to join through email, social networking sites, and online ads. Encourage and incorporate user-generated content, so that your customers will be empowered to act as your biggest brand ambassadors. Users who interact with ratings and reviews are 105% more likely to buy. UGC creators have an average 300-700% higher conversion rates, as well. Rivet Works: Combing the power of product reviews with product photos via email automation. Check out MountainCrest Succulents to see it in action. Curalate’s FanReel: Combing the power of micro-influencer marketing with on-site traffic and conversion. Check it out in action at Spellbinders. It turns out that with the right product, the right tools and the right attitude, any brand can hop on the influencer marketing train today – and see results in just 6 short months. 4. Be Ready to Adapt. Not all customer loyalty programs are going to be perfect from the very beginning, so be ready to make some changes depending on customer response. Start where you’re already at: Identify and optimize new loyalty assets in your organization, that are currently hiding in plain sight. Do not operate in a silo: Integrate your Program and your brand’s discrete initiatives into a cohesive loyalty ecosystem. Use your people to enable a better member experience: devote your program to enabling a better brand experience across the board. It takes significant time and effort to accomplish both of the above goals using a DIY loyalty program. A more manageable approach is to start a DIY loyalty program that focuses on your best customers and keeps them shopping with you (goal # 2). After answering these questions, you should next focus on the type of loyalty program you’d want to implement. Above all, ensure that it is consumer-centric in its execution. Determine how you will track the information that you’re going to get from the loyalty program, and what you will do with it. By doing so, you will have a benchmark for knowing how well your program is doing. Below are the steps to build brand loyalty and drive LTV with a home-brewed loyalty program. After getting all the details down pat, you can pre-launch your loyalty program by testing out a beta or pilot program, available only to a select few. A pre-launch beta is ideal, as it allows you to fix whatever issues pop up in the beta program before you go live. After going live to all customers, remember to use and analyze the data you collect and make adjustments and improvements when necessary. Here are your next steps once you launch the program fully. Remember, redeemers are 2c more likely to be highly satisfied with the Program than non-redeemers, yet still 1/5 of Members have not redeemed, putting them at a higher risk of attrition. Focus on the redemption experience, not the reward. Foster better awareness of accumulation status, and communicate progress. A points system represents the easiest and simplest kind of loyalty program. This works especially well for shops that encourage frequent, low-cost purchases. This also seems to be the most popular program type for online stores. Pro tip: make it straightforward and not too complicated. See the example below from Grow and Behold. This brand uses Smile.io to manage a straightforward rewards program. InnerEgo has a point system set up based on order value. This one is also setup using Smile.io. And here’s another example from Sitara Collections using S-Loyalty. And finally, Sophie & Toffee use SLoyalty as well to run a point-based, tiered system. A tier system is based on levels of loyalty: the more a customer buys, the higher up the rewards tier they can travel. This is typically used for businesses with customers who make big-ticket purchases that don’t happen often, such as in the travel industry. Many airlines have adopted this type of program. The goal is to keep members around for the long term. Besides travel, this type of customer loyalty program can be applicable to the ecommerce industry as well. COLLOQUY found that 50% of consumers said they increase their spending or change their purchasing behavior to get a higher tier status in a rewards program of this type. Pro tip: Start by presenting a small base reward for simply being part of the program and make the next levels easily achievable to reduce program abandonment. CommunityDiscs.com has something similar setup, using RewardCamp. According to COLLOQUY, 68% of millennials will remain loyal to a business that offers them the most rewards. Additionally, Collinson Latitude found that 82% of consumers said loyalty programs would be better if they offered more choices. A partnership program is a great way to target millennials and form partnerships with other businesses. In Austin, BigCommerce’s HQ hometown, there is a very popular meetup group called Boss Babes. This group partners with brands and local hotels, spas, etc. to offer retreats and other discounted options to their members. Find something similar in your area to help boost awareness and align yourself with brands and ideas that are on the rise. 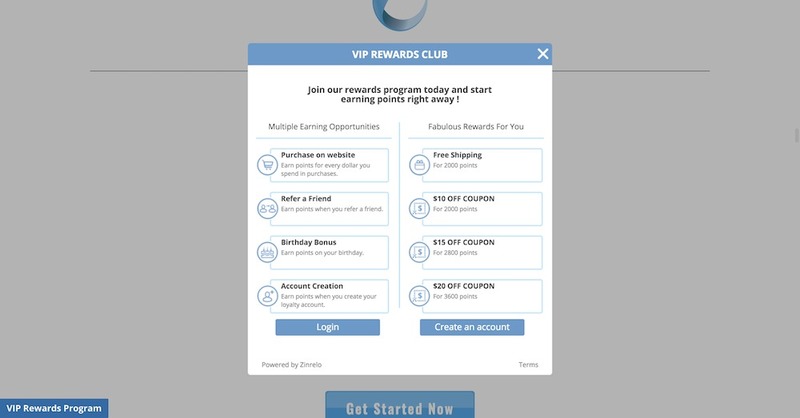 Some companies offer a VIP program where customers pay a membership to join. Once you’re a member of that VIP program, you have access to exclusive perks such as discounts, freebies, and priority access to events. One such example is Amazon Prime, which charges an upfront fee for VIP services like free and expedited shipping. By doing this, Amazon is able to offset cart abandonment (caused by expensive shipping fees) by making customers feel as though they are getting a much better deal. Donations to other companies. This is best if it’s aligned with your company culture, such as TOMS, which donates a percentage of profits to its many causes. Gamification/Contests, such as AppSumo, which constantly runs online sweepstakes that promise to winners gadgets such as Macbook Pros, Fitbits, and software programs such as Photoshop and Dropbox Pro. By doing this, they were able to accrue hundreds of thousands of subscribers to their email list and social sites. Pro tip: Make sure that the odds of winning the game are no more than 25% and that purchase requirements are attainable so that the members feel that they aren’t being duped. Make sure everything is legal before taking the contest public. This is a combination of any of the aforementioned loyalty programs. 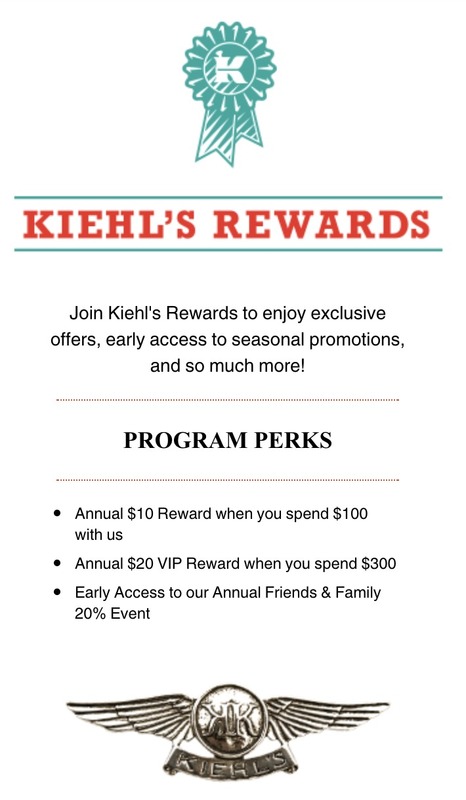 The trick is to find elements from different programs that mix well together, as is the case with Kiehl’s Rewards, which gives you a guaranteed free birthday gift as well as $10 reward for every $100 purchase. Some brands, such as Apple, do not have a loyalty program but still have a lot of loyal customers — as evidenced by the many people who fall in line every time a new iPhone or Apple product is released. Apple is able to get away without a loyalty program because their products are so hard to resist from the get-go. If you’re a pioneer in your field or are redefining your category, it’s quite possible that you don’t need an ecommerce customer loyalty program. To have success you need to have the right ecommerce customer loyalty software. To deploy your loyalty programs, many brands offer management via a loyalty app. Having a mobile app is helpful, especially when customers are out and about without their wallets but still want to patronize your business. Making it possible to pay with credits in your loyalty app also makes adding transactions to your database easier because everything is done electronically. Many brands such as Starbucks, Dominos, 7-eleven and top airlines (such as AirAsia) have loyalty apps. Investing in this type of ecommerce customer loyalty program can be quite lucrative, as 75% of all smartphone users are interested in interacting with loyalty schemes via their mobile phones. The good news? You don’t need to spend too much to create your own customer loyalty app. You can implement your loyalty program using one of the many loyalty apps on the BigCommerce app store. Make it easy to redeem rewards. Make it easy to use the rewards. Measured over a given time period (a year, a quarter, etc), the customer retention rate measures the number of customers you have retained over a certain time period. By implementing a successful loyalty program, these numbers should increase. According to a study by Reichheld and Schefter, increasing customer retention rates by 5% increases profits by 25% to 95%. 2. Net Promoter Score (NPS). As mentioned previously, the Net Promoter Score is a tool that can be used to estimate customer experience, which is related to a firm’s revenue growth. It is a score on a scale of 1-10 that demonstrates how much a person would recommend your business to others. It is measured by subtracting the number of customers that wouldn’t recommend your business from the number of customers that would. 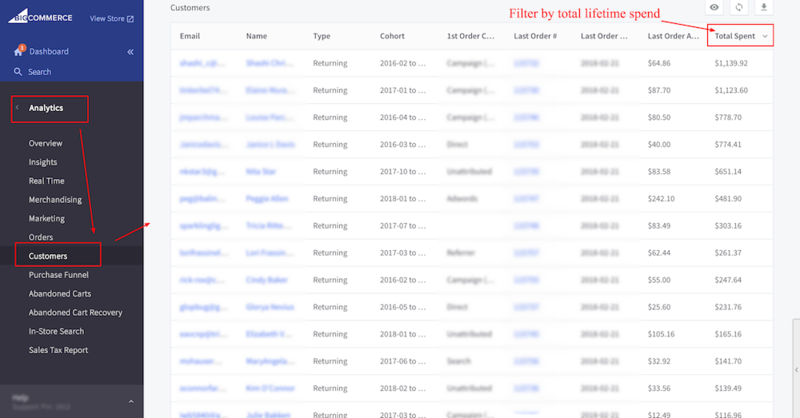 Customer churn refers to the number of customers that cease their relationship with the company, determined by a certain time period when a customer fails to interact with the business. Negative churn is the opposite: measuring those that have purchased more or upgraded. With many available options in the market, it can be hard to retain hard-won customers. With the right strategy and structure, an ecommerce customer loyalty program can level the playing field — even helping to push things in your company’s favor! Have you set up an ecommerce customer loyalty program? Tweet @BigCommerce and we’ll share the best insights with our community!